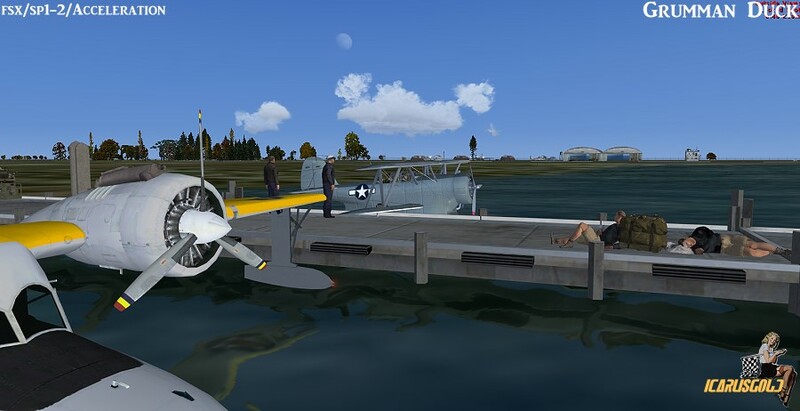 DELIVERY Download full version after purchase + activation code sent here on this store check myaccount - view order on the notes or by email, if not received visit support link and submit a ticket. 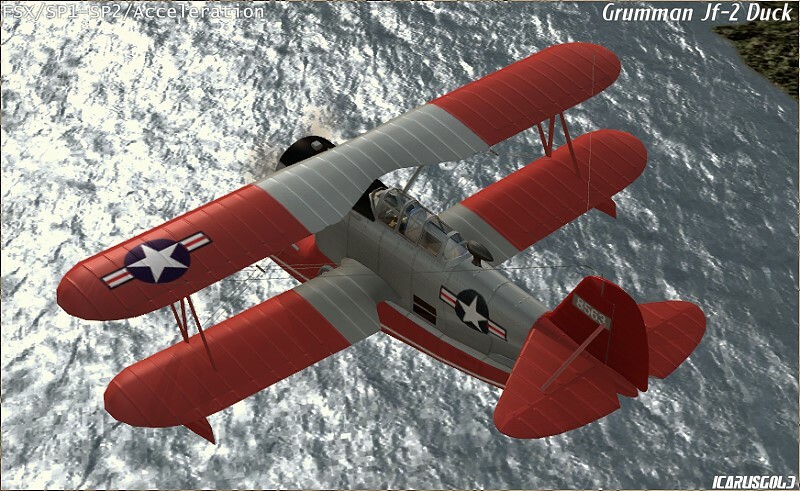 The Grumman J2F Duck (company designation G-15) was an American single-engine amphibious biplane. 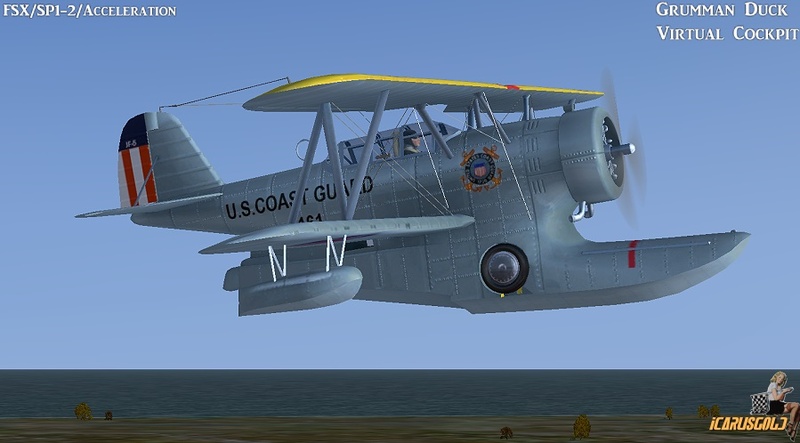 The J2F was an equal-span single-bay biplane with a large monocoque central float which also housed the retractable main landing gear. 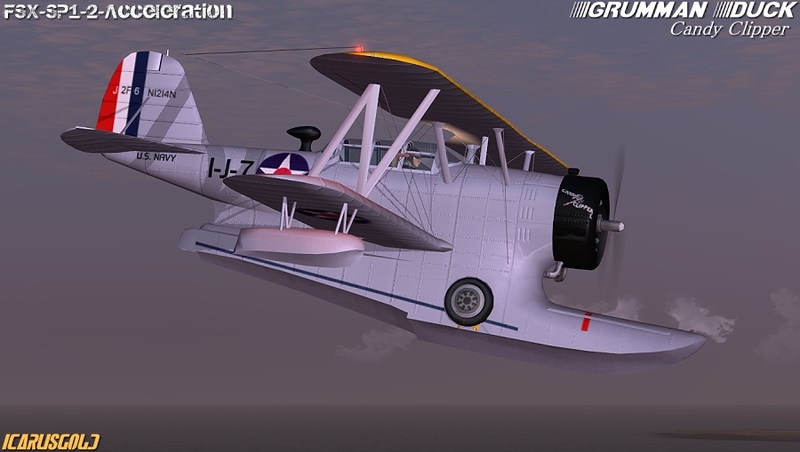 It had strut-mounted stabiliser floats beneath each lower wing. 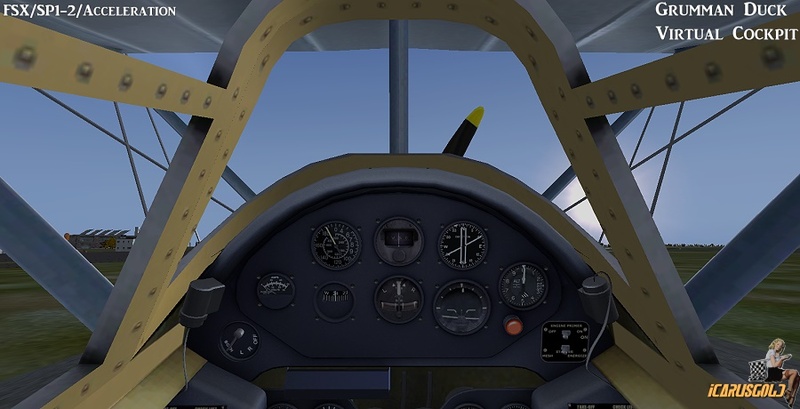 A crew of two or three were carried in tandem cockpits, forward for the pilot and rear for an observer with room for a radio operator if required. 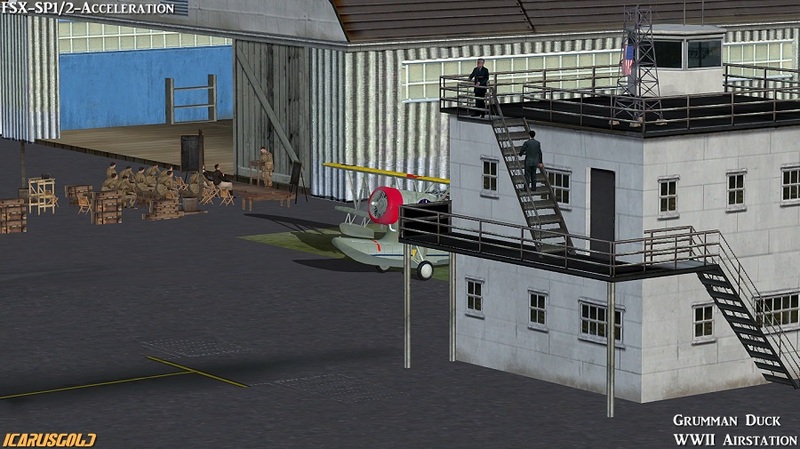 It had a cabin in the fuselage for two passengers or a stretcher. 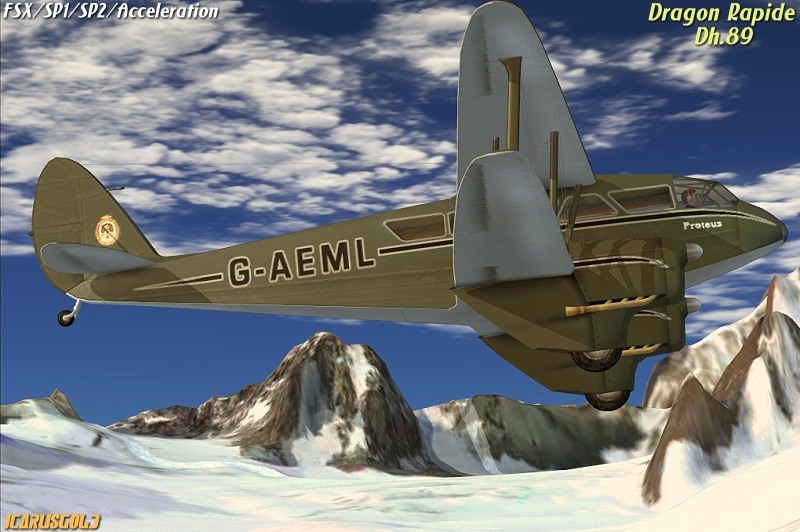 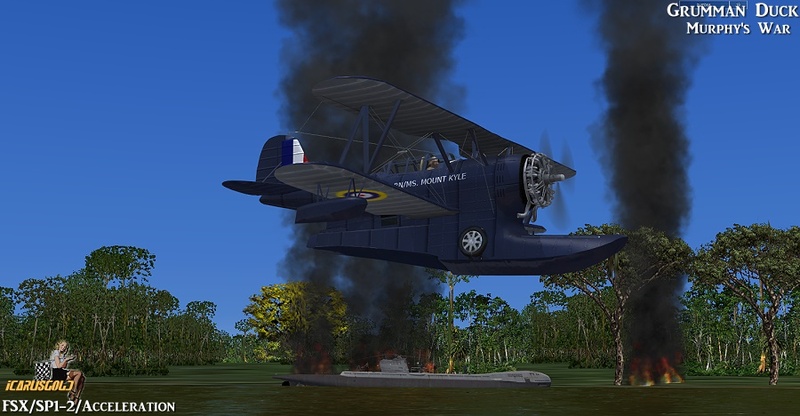 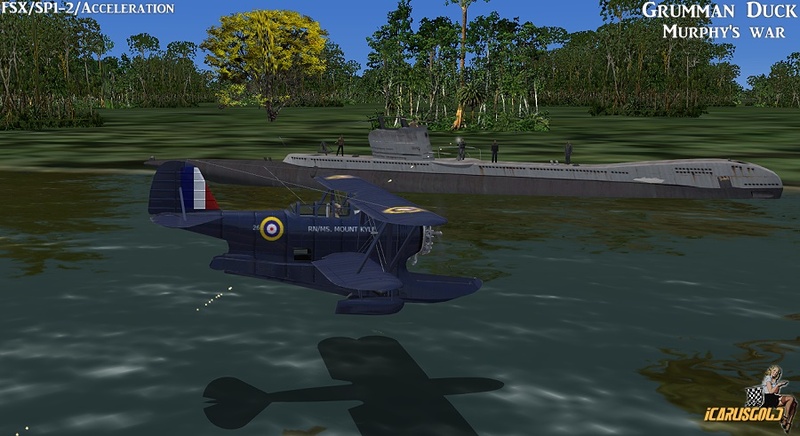 The Duck's main pontoon was blended into the fuselage, making it almost a flying boat despite its similarity to a conventional landplane which has been float-equipped. 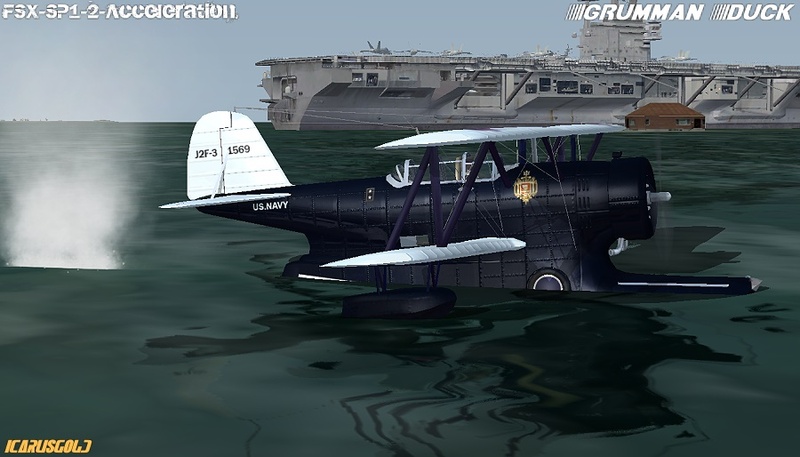 This configuration was shared with the earlier Loening OL, Grumman having acquired the rights to Loening's hull, float and undercarriage designs. 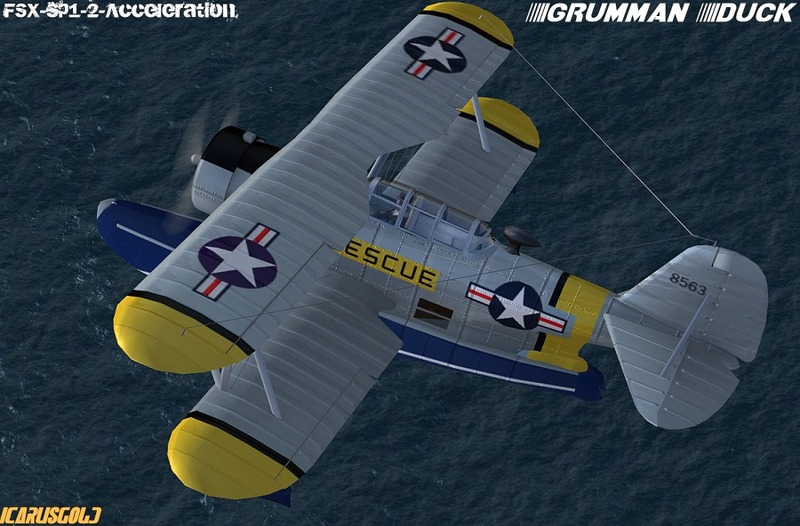 The aircraft was used by both the United States Navy and United States Coast Guard, with the latter using them as utility aircraft for missions including mapping, rescue work, photography, and a target training. 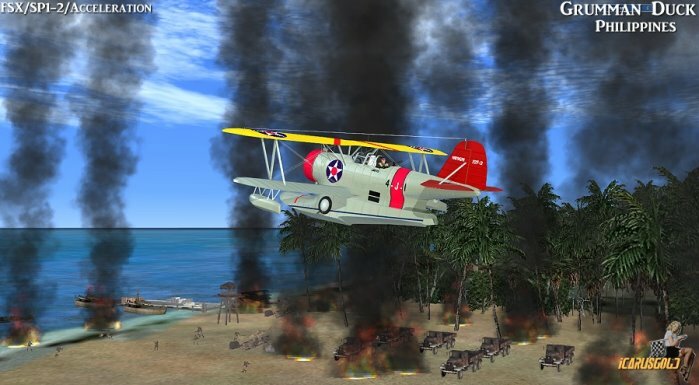 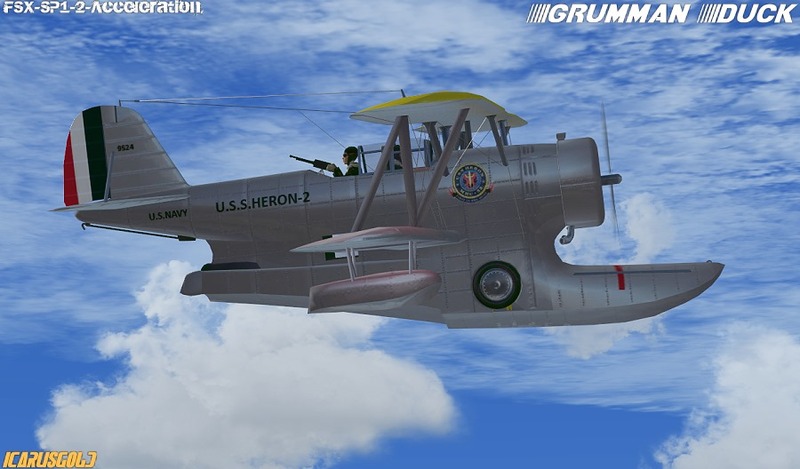 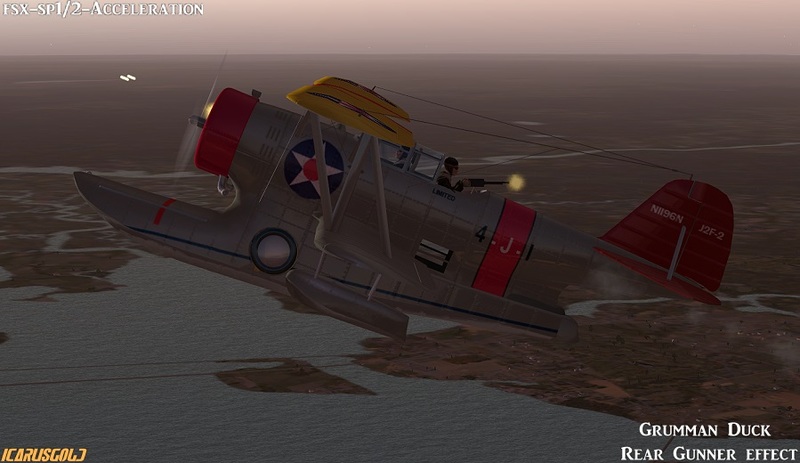 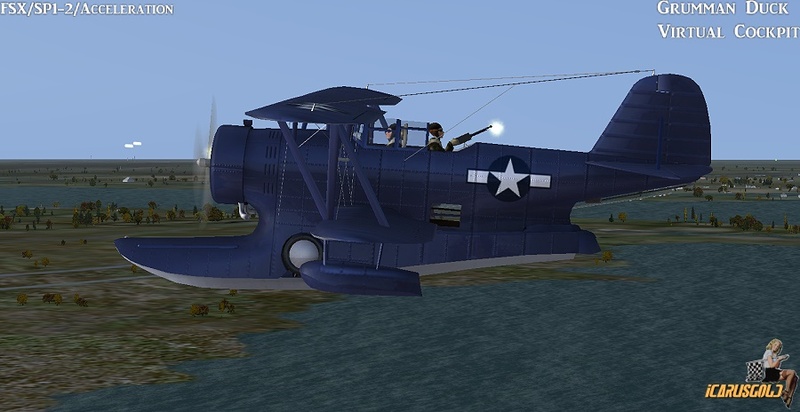 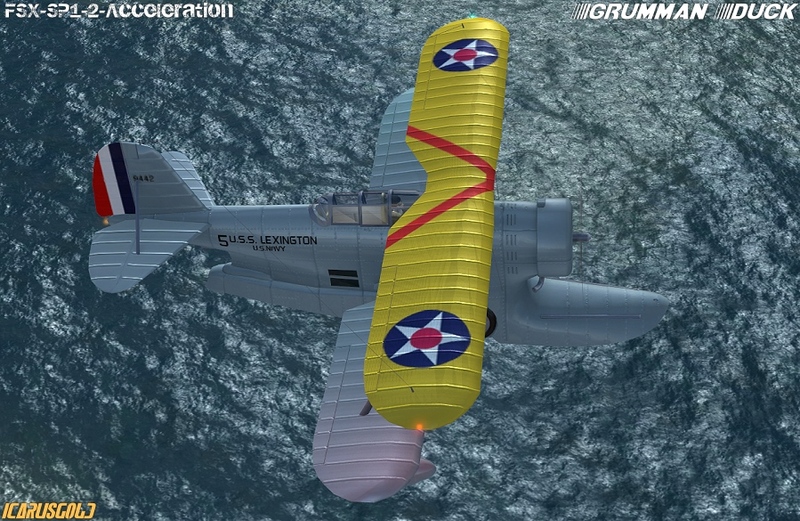 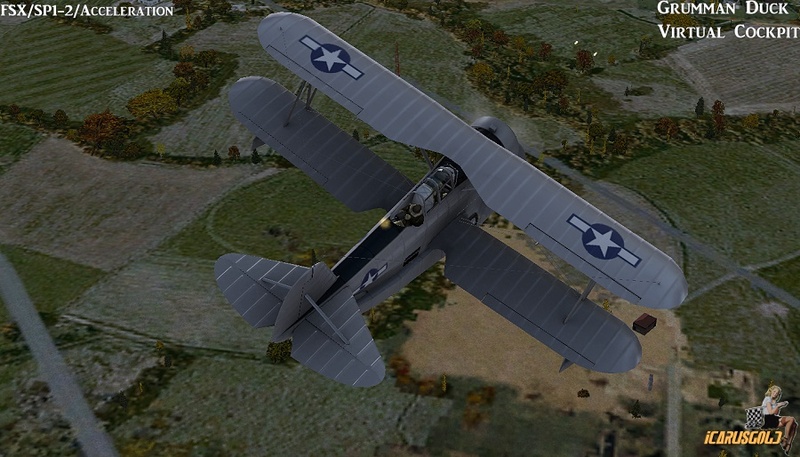 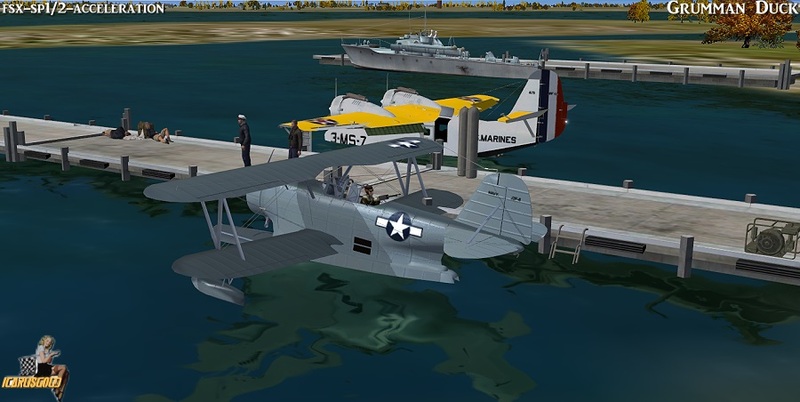 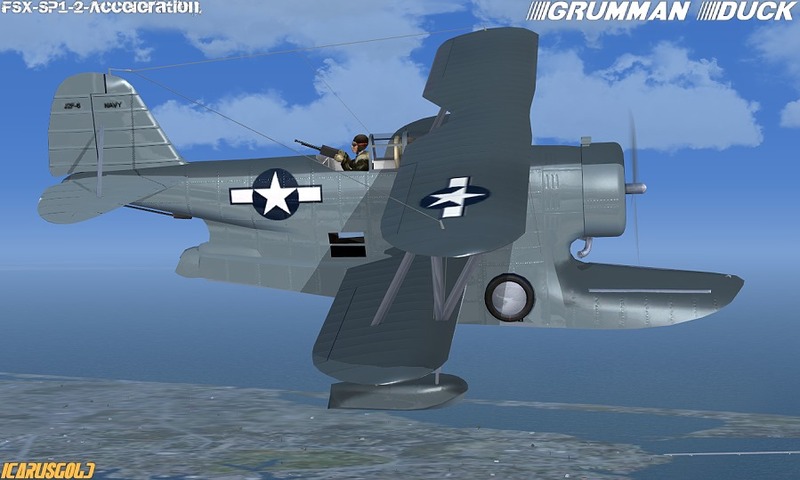 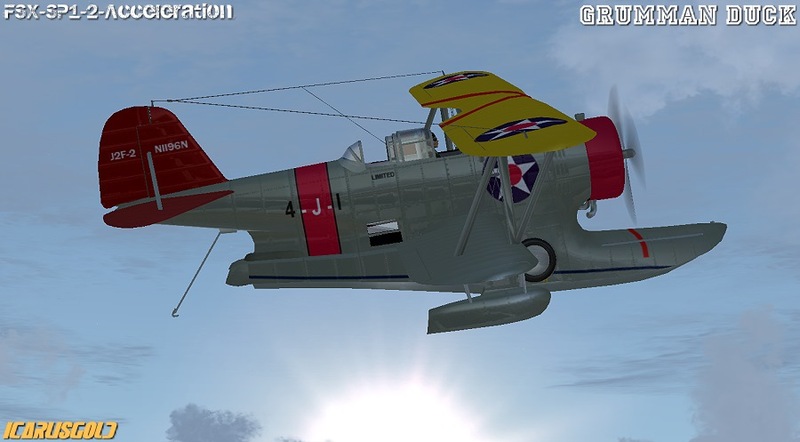 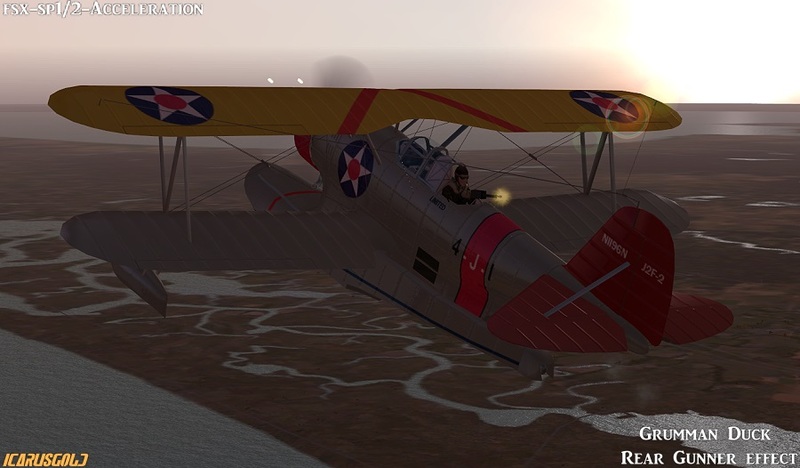 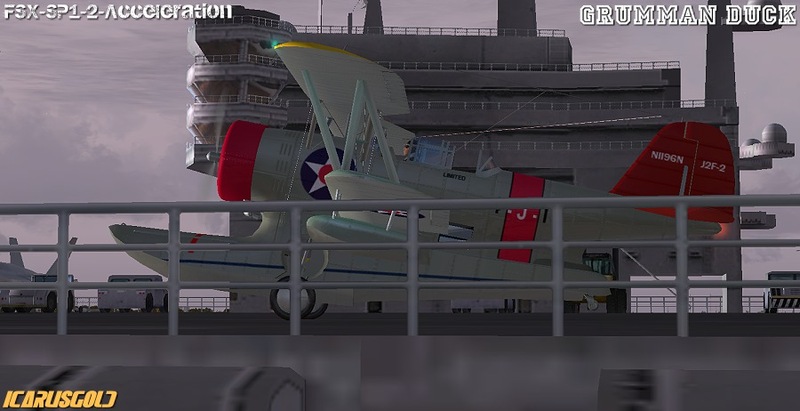 New seven highly detailed model built NATIVE FSX SDK included Tailhook version. 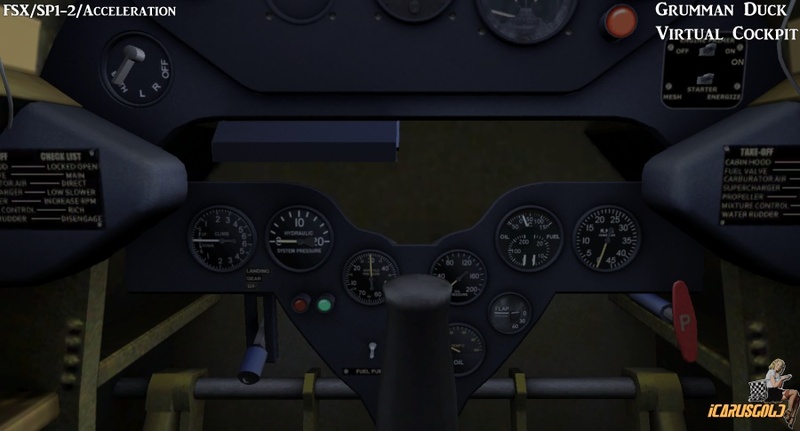 Mini panel and virtual cockpiT with pop-ups for GPS,starter procedure. 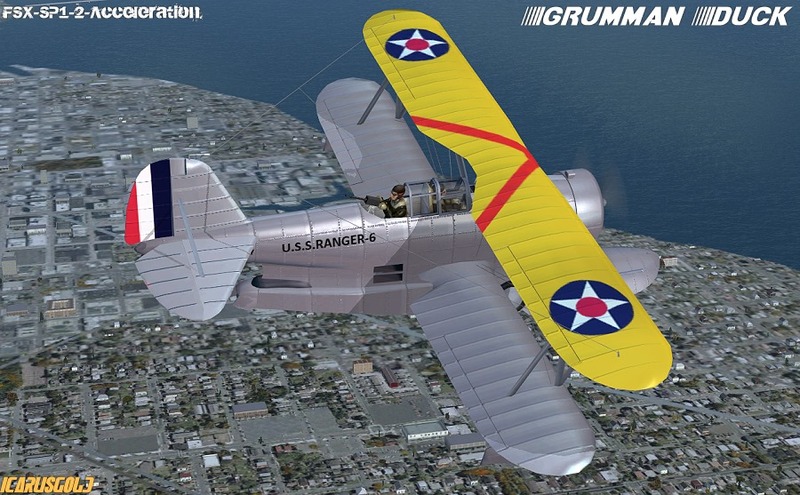 This product was added to our catalog on Thursday 10 March, 2011.